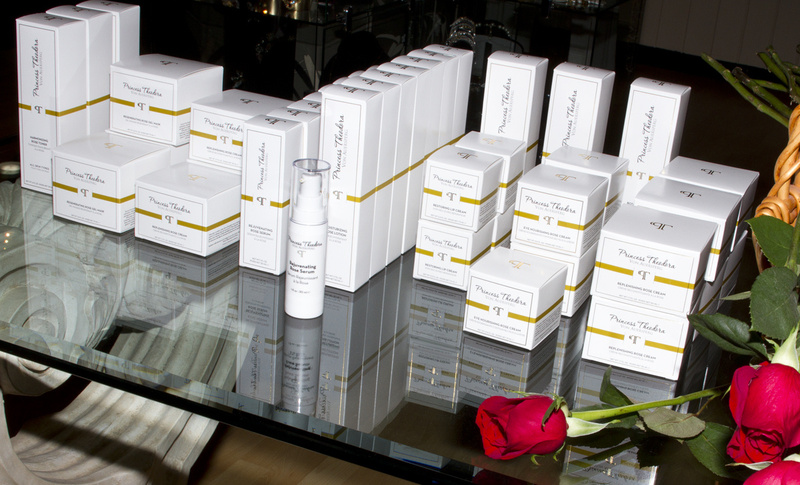 Princess Theodora von Auersperg seeks to inspire all women to define and embrace their own sense of beauty with classic Beauty & Wellness Products. “There is an inner beauty to every woman that if given room to grow will blossom. The Princess Theodora von Auersperg company and brand is about supreme beauty & wellness products made from the most luxurious aromatherapy and plant based ingredients. By applying ancient beauty secrets, ideal blends and old-world style formulas Princess Theodora’s exclusive products transform and heal your skin, slow down the natural aging process and produce an overall wellbeing for body, mind and soul. Princess Theodora aspires to introduce women not only to a classic daily beauty routine but to a lifestyle of balance and harmony. Create a sanctuary for all women to define and embrace their own sense of beauty and feel like a princess with products made from the finest and purest natural, organic and vegan ingredients available that care for their skin, body, mind and soul and to effectively slow down the natural aging process by significantly improving skin texture and appearance. The Princess Theodora von Auersperg Foundation has been established to support the humane treatment of animals and animal rescue operations. The mission of the foundation – ‘Save a Soul’ – is to help provide resources for the rescue and care of animals by donating ten percent of Princess Theodora’s net proceeds from all product sales and all net proceeds from the foundation’s fund raising events to selected shelters and animal rescue organizations. ← Does this take your breath away?